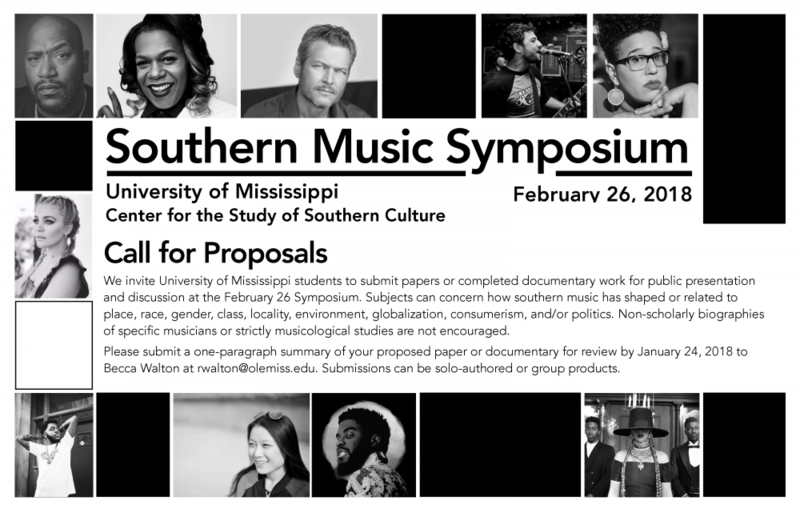 We invite University of Mississippi students to submit papers or completed documentary work for public presentation and discussion at the February 26 Symposium. 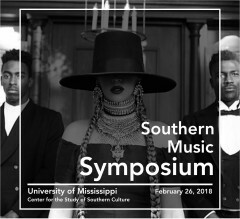 Subjects can concern how southern music has shaped or related to place, race, gender, class, locality, environment, globalization, consumerism, and/or politics. Non-scholarly biographies of specific musicians or strictly musicological studies are not encouraged. Please submit a one-paragraph summary of your proposed paper or documentary for review by January 31, 2018 to Becca Walton at rwalton@olemiss.edu. Submissions can be solo-authored or group products. Click here for a PDF of the CFP.